I left at 9 am to go skydiving from a helicopter. 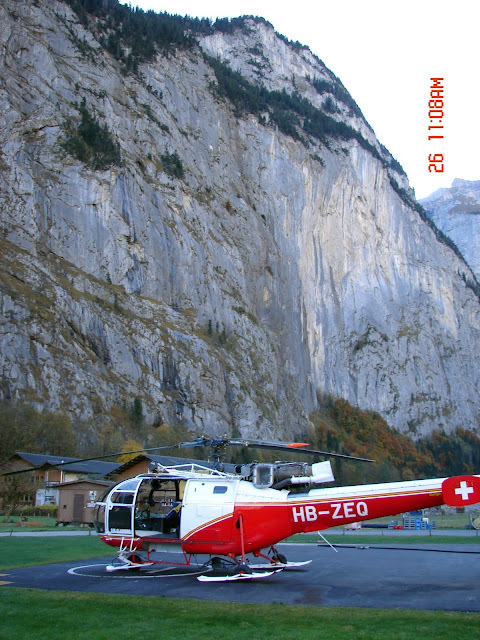 The jumpmaster told us that there were only 3 places in the world you could jump from a helicopter, Australia, Hawaii and Interlaken, Switzerland. 2 days ago I went skydiving out of a plane but the opportunity to jump from a helicopter was too great to pass on. Unfortunately I don't have any pictures from the jump but I did buy a video of my jump which is pretty wild. 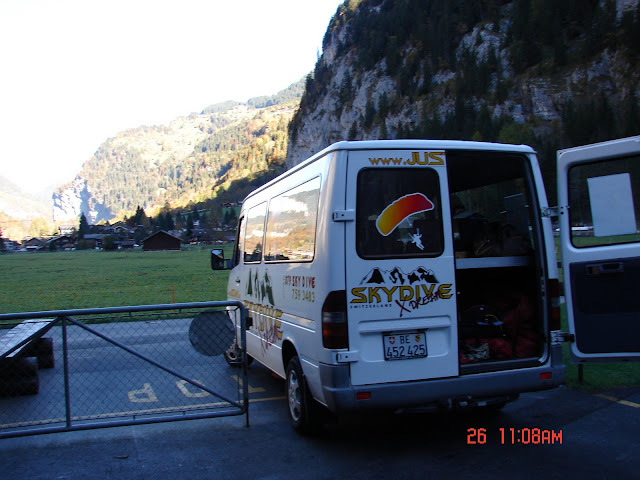 To jump from 12,000 feet right inside of the Jungfrau, Monch and Eiger mountains was quite an adrenaline jump. At one point we were only about 10 feet from a waterfall. "decide....whether or not the goal is worth the risks involved. If it is, stop worrying....."